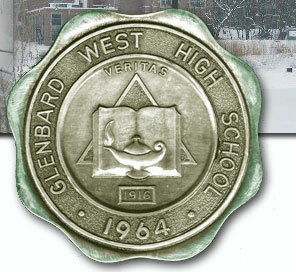 The following will be attending the reunion: Barb Widmer and husband David Hennerman, Melly Voltaggio and husband Bernie Walksler, Ken and wife Bev Valentine, Karen Daigle and husband Norm Schickedanz, Mike and wife Luann Neu, Sue Anderson Musak, Marna Stealey McComb, and for Friday evening, Jeff Astroth and wife. We'll first all meet Friday at 6 pm, in one of the Bellagio lounges. Unfortunately, it won't be the Fontana Lounge, which Mike Neu just found out will be filled by a poker tournament! I'll let you know where as soon as we pick another place. Afterwards, at 10 pm, we'll dine at Olives, a change from Sensi, due to popular request. Seating won't be at a single large table, though. We have received the information about hotel room in Las Vegas. 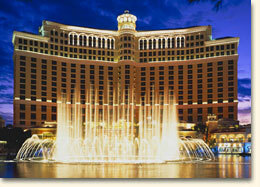 Our best deal is at the very impressive Bellagio hotel on the famous Las Vega Strip. While rooms normal go for almost $400 a night, Mike Neu has worked out a deal for $229 per night on Friday and Saturday. We need a fairly quick response to the Bellagio, so if you are interested, please contact Caryn (see information below) and also let me know if you are attending so that we can begin to make arrangement for some get-togethers. This won't be overly orchestrated, but some meeting places and times might help to insure that we all get to see one another. All reservations for Friday & Saturday nights and Sunday night if you want to stay over will have to go through Caryn to receive the $229. rate. If anyone wants to come in on Thursday, Karen Schickedanz found a rate on the web for $179 which you and your guests would have to book on line for ONLY that one night. If you have any questions, let me know. We look forward to seeing you in Las Vegas on October 13-15th. 13600 South Las Vegas Blvd.